Established, in 1999, F.O.N.E. is a non-profit organization, headquartered at the Ernie Morgan Center in historic Lafayette Park, managed by a group of dedicated sustainable volunteer community leaders. F.O.N.E. engages with individual citizens, businesses and organizations to improve Norfolk's environment through environmental stewardship education and restoration. 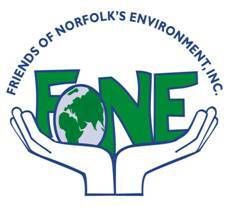 The organization collaborates with the Norfolk Environmental Commission (NEC) and Keep Norfolk Beautiful (KNB), to supplement City funding for the furtherance of various environmental education outreach and programs. Through monetary and in-kind contributions, F.O.N.E. supports the work of approximately 5,000 KNB volunteers annually, as they adopt streets and parks, organize recycling at events, execute litter cleanups and beautification projects throughout the city, and educate our young citizens on how they can make a difference for a cleaner and more beautiful community. Your contribution is greatly welcomed, as it will provide the continued resources necessary for KNB's environmental educational programs. F.O.N.E. 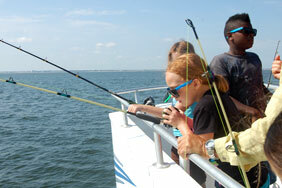 's continued presence helps to increase the quality of life for Norfolk, Hampton Roads and beyond. Your contribution provides the resources to continue and expand educational programming such as bringing sustainability education to our classrooms, teacher training, and Green Reader. This increases the quality of life for Norfolk, Hampton Roads and beyond. Get more information about contributions and membership.